For the economical customer, who already owns a R80G/S or R80ST, the robust one-arm swing is the right decision. This swing arm is 100 mm longer than the original. With the 43l tank, the front fairing and the White-Power Suspension front fork (295 mm travel), this durable bike is made for traveling through other continents. 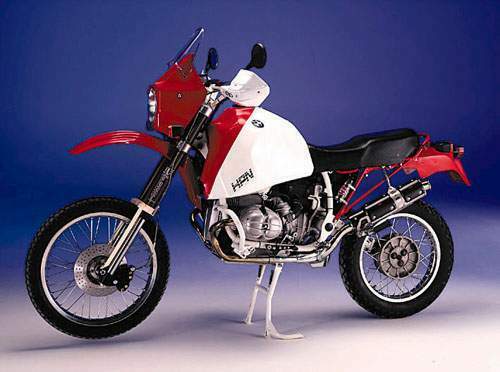 The "slim" HPN for the expert The HPN „Baja" is inspired by the BMW-works racing bikes, that have been build and serviced by HPN for the „Baja California 1000". Gaston Rahier and Eddy Hau won a class victory with it in 1985. It convinces by it’s low weight, easyness to handle, performance and it’s optic. The HPN Basis is a big surprise for the touring rider. 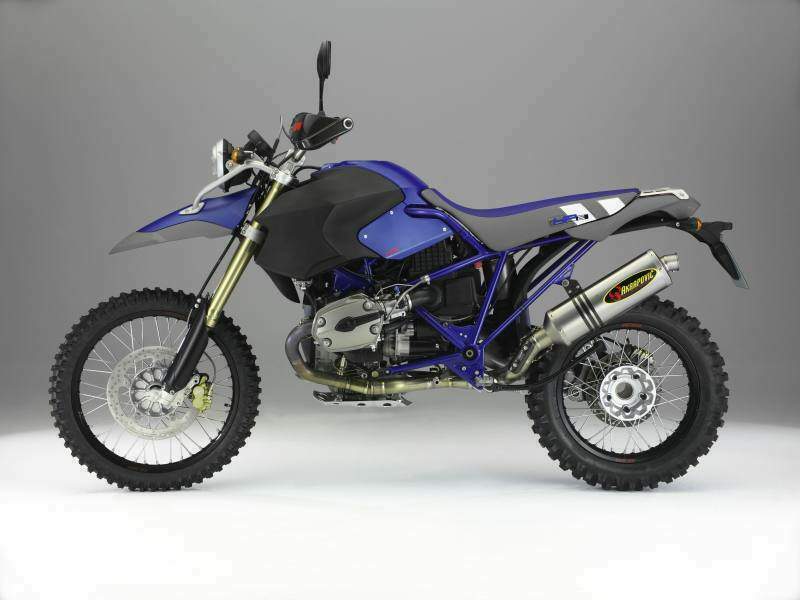 The HPN main frame reinforcements, the damper inserts in the front fork and the White-Power Suspension shock absorber are responsible for the exellent handling while keeping the stock seat height. The HPN Baja muffler and carbon fiber alternator cover add to the the sporty looks and supreme power. The genuine leather seat cover allows longer riding pleasure. 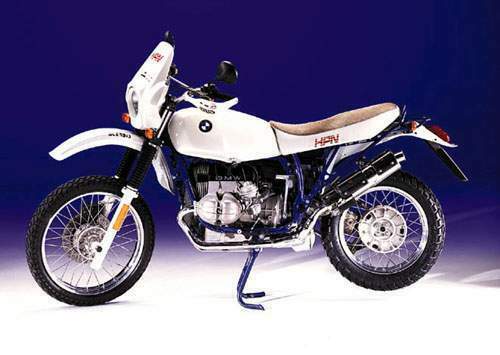 looking at it you get the BMW R900RR and HPN into your mind. 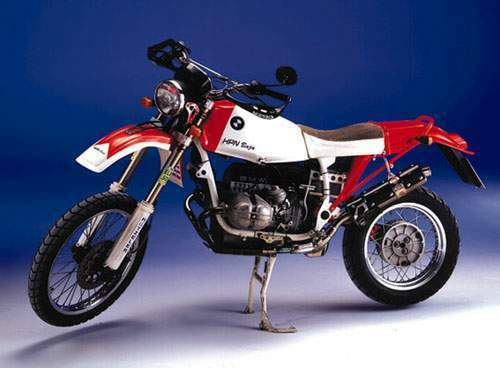 From development to the racing activities of the BMW Team at "Baja California", "Erzberg Rodeo", Pikes Peak "Race to the Clouds" and German-, Austrian-, and Italian Cross Country, HPN is involved. We prepare and optimise those bikes and take care of them at the race site. Those improvements are part of the good results with all our international drivers like Jimmy Lewis, Simon Kirssi, Chris Pfeiffer, Beau Hayden, J. Street, D. Donatony, Peter Postel, Tony Megla, Chuck Dempsey, C. Jarrow, S. Eckert, G. Forster. The results show the excellent work done by all partners. Upgrade your individual HP2 or BMW 1200GS with our race proven accessories.